I'm working on a new design for a client and it a project that is an unusual challenge for me. I have to design a label for a product that is used for children but marketed at adults. The client wants something sophisticated but still reminding the customer of babies. I am working on various type treatments but the thing that is really hanging me up is the color palette. The product comes in a variety of baby colors so I need to find something that doesn't compete with the product but compliments it. In a case like this I turn to kuler. 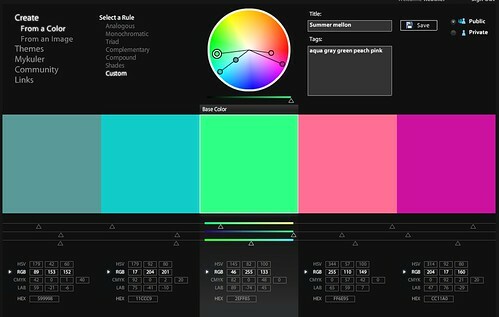 kuler is a powerful color palette creator invented by Adobe. 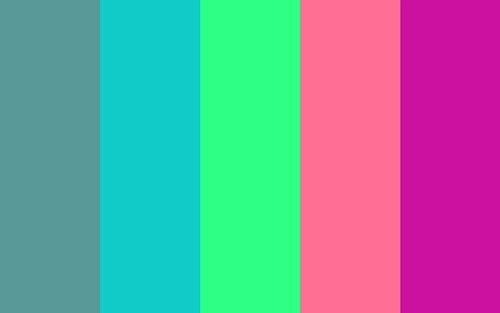 You can create a palette based on analogous colors or various other color rules or just get crazy with a custom creation. The web app then lets you rearrange the colors, view the color palette small and large and also download it to use in all Adobe design applications.